We are a state chapter of TASH, which is an international grassroots leader in advancing inclusive communities through research, education, and advocacy. Founded in 1975, we are a volunteer-driven organization that advocates for human rights and inclusion for people with the most significant disabilities and support needs -- those most vulnerable to segregation, abuse, neglect, and institutionalization. 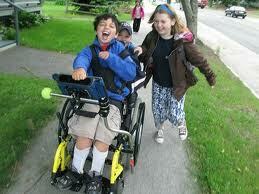 The inclusive practices we promote and validate through research improve quality of life outcomes for all people. We support inclusive practices in education through our training component, AZWINS (Arizona Wins With Inclusive Schools). We sponsor trainings throughout the year to support educators and families. Each year we host an Inclusive Practices Institute to share inclusive practices and inspire educators, providers, and parents to continue to support inclusive school and community settings for everyone. 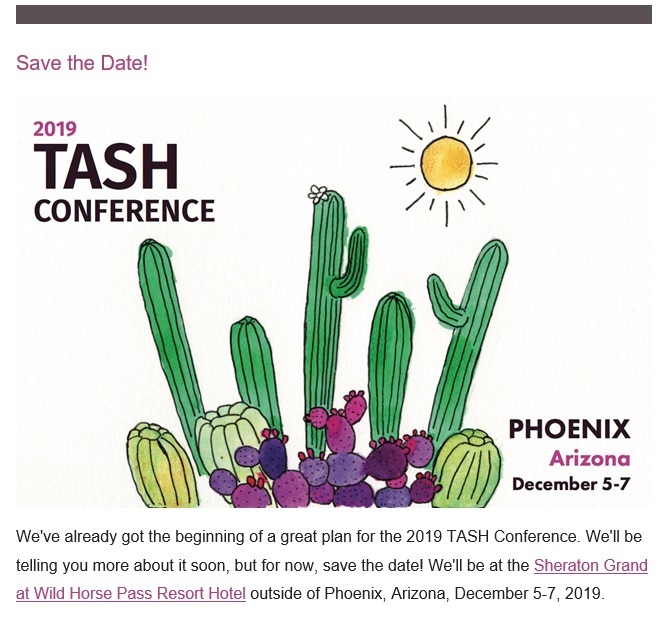 TASH is a vibrant community of professionals and advocates committed to positive and lasting change in the lives of people with significant disabilities. TASH’s difference is that strong social justice values — equity, opportunity and inclusion — drive our work. Our membership is comprised of family members, self-advocates, academic professionals and students, teachers and school administrators, support providers and many others. Together, we promote evidence-based practices developed through research and advanced through training, publications, and advocacy. Since 1975, TASH members have made remarkable contributions to change policy and professional practice, and as a result, people with significant disabilities are more likely to be included as contributing citizens in all aspects of community life. As a member-based organization, we rely on the contributions of a network of passionate individuals like you. If you are looking to make a difference, join TASH today. TASH Now Offers Monthly Memberships! You now have the ability to become a member at a monthly membership rate. Once you’ve looked over the benefits and chosen your membership subscription level and created your account, when you proceed to pay for your membership, you have the option to choose a payment option: yearly or once a month on the first of the month. Whether you subscribe monthly or annually, the benefits levels are the same. TASH is proud to announce our monthly membership option, allowing individual and organization members to choose how often to pay dues. Instead of paying the entirety of your membership dues all at once, pay from $3.25 to $14 per month for individual memberships, or $33 per month for five organizational members.